The Denver area is a hub for technological and scientific advancement, and the Ritchie School of Engineering and Computer Science offers a gateway for DU students to connect with corporate and community leaders. Through partnership programs, scholarship funding and hiring opportunities, the Ritchie School is committed to growing a diverse learning and teaching environment. In support of innovation and entrepreneurship in alliance with the Denver community, the Senior Design Project Sponsorship Program offer engagement opportunities for industry leaders. 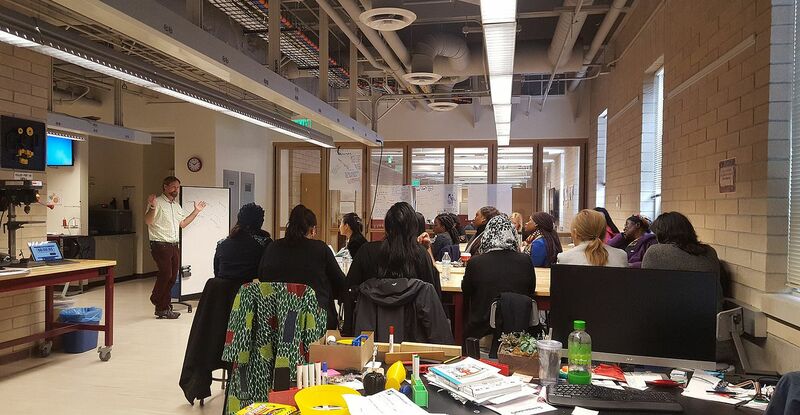 The program intimately connects industry leaders with promising students through collaborative project completion. Ritchie School students are situated in a hub of emerging engineering and computer science innovation and entrepreneurship. We offer a variety of on-campus career engagement services to help you find and cultivate relationships with our population of achievers. Senior Design Projects challenge our students to leverage their mechanical, electrical and computer engineering skills with industry leaders. As an industry partner, you'll engage with our talented students and sponsor a community of pioneers. Your trade secrets will also be protected as we're a private university. Experiential learning gives students greater agency with their work – from idea conception to reflection, the student is in charge. This agency inspires passion, higher quality work, and a processes of discovery unhindered by fear of failure. Components of experiential learning including hands-on research, interdisciplinary curriculum and entrepreneurial experience collide in the Grand Challenges Scholars Program. Incoming students are encouraged to become Grand Challenge Scholars by generating engineering and computer science solutions to a global wellness focus area: sustainability, health, joy of living or security. While incorporating the Ritchie School's mission to create a sustainable future, students develop the mindset, knowledge, skills and drive to find solutions to the world's most pressing concerns. Ritchie students aren't afraid of failure: on the Innovation Floor, failure is seen as a stepping stone toward success. Facilitated by creativity, innovation and collaboration, DU students, faculty and staff are welcome to actualize their entrepreneurial ideas with principles of experiential learning. The Innovation Floor houses state-of-the-art infrastructure and resources including 3D printers, a laser, sewing machine, soldering iron and more. The possibility of discovery is an enticing idea. But, when that discovery is wrought from your own brain, your own hands, the zeal for technological and scientific advancement only increases. At the Ritchie School, that agency is sparked by experiential learning practices and stoked by unparalleled support from expert faculty and modern infrastructure. Spearheaded by an expanding faculty of experts, students across departments learn a combination of search and optimization techniques inside Ritchie’s state-of-the-art Moving AI lab. Research also includes the use of machine learning approaches, including music generation and the development of personalized online learning systems. 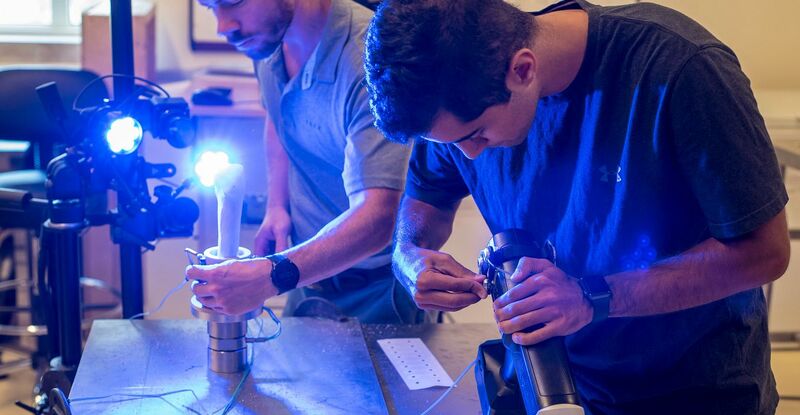 The Biomedecial research cluster approaches the world's most pressing health concerns through engineering solutions in areas like joint replacement, social-assistive robotics and cancer detection. We work at the intersection of personalized medicine and health monitoring technologies, creating engineering solutions to health-related problems through sensors, smart devices, wearable technologies and more. With CRISP lab infrastructure improvements on the horizon, cyber physical security research involving health data privacy has never been more pertinent or attainable. Ongoing work includes the exploration of privacy breaching attacks, and the development of web platforms and scalable tools. The Robotics research cluster focuses on creating the next generation of service robotics and unmanned vehicles system with the goal of improving public welfare. Projects include the development of companion bots as assistants to individuals with social or mental disabilities, as well as investigations into partially-autonomous unmanned vehicles. 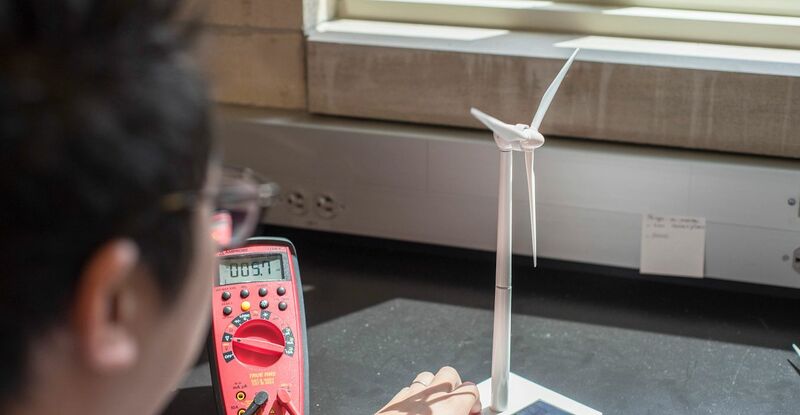 Equipped with Ritchie's cutting-edge facilities, multidisciplinary faculty and students work to develop smart grids, improve infrastructure management and delve into computation, mathematics and operations research. Our goal is to revolutionize the systems, materials and structures of city-building in order to develop more efficient, healthy and just urban centers. 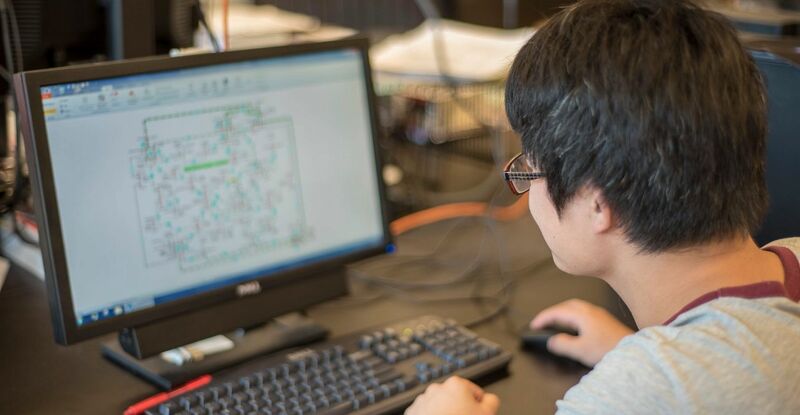 The first-year computer science education experience of undergraduate students' is supported by access to expert faculty and modern laboratories, and examined for efficacy and rigor. We simultaneously support K-12 outreach, working to determine ways to expose K-12 students to computer science and give them the background needed to excel in the discipline. With a student body that enters the workforce with a diverse and well developed background of skills and knowledge, there's great value to be found by engaging with the student population. We offer a variety of opportunities for employers to develop mutually beneficial relationships with the Ritchie school community. Contact [email protected] for more information. We host career fairs through which employers can connect with hundreds of students from diverse backgrounds. These events are an excellent opportunity to meet engaged, qualified students hungry to make their mark in their field. Our Department of Career & Professional Development partners with an array of institutional and industry partners to host skill-building workshops for students and alumni. City Treks are immersive career exploration initiatives through which local businesses offer Ritchie School students a behind-the-scenes look at the functioning of an academically relevant organization. Dine & Dialogue events offer the opportunity for informal conversation and networking with a small group of engaged students. We invite employers to host office hours on campus, allowing our students and alumni to visit and learn about your company, the industry, career progression and other basic information. Employer presentations are a chance for you to provide information about your company and available opportunities. Our team will help you craft an approach and structure to market to your ideal population. We invite employers to host networking receptions and social events throughout the year in order to meet and interact with our students and alumni. We offer the opportunity to meet and interview top talent in-person and on campus in a premium interviewing space. You can choose how the appointments are structured, and we'll offer our support to ensure a first-rate experience. High school students learned important lessons about women in engineering and computer science during a visit to a local movie theater. The students enjoyed a private screening of the critically acclaimed movie *Hidden Figures*, followed by a panel discussion with DU students and alumni.